Birdman is a man about his money, as you've probably been able to tell since the early beginnings his career. Whether it's through ventures in music or otherwise, he's definitely someone who lives up to the "Cash Money" brand. 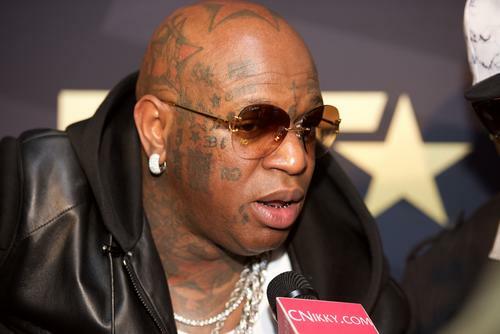 Like many, Birdman decided to place a wager on last night's Super Bowl game between the Patriots and the Eagles with Philly rapper Ar-Ab. While the initial wager was set at $100K, it looks like it went up to $200K. After the Philadelphia Eagles' win at the Super Bowl last night, Ar-AB was looking to get his rightfully won money from Birdman. On Saturday, Ar-Ab hit Instagram to reveal that he and Birdman placed a $100K wager on the Superbowl. "Somebody Tell My OG @birdman5star $100,000 is a BET.... I️ Bet Da House On My #EAGLES," he wrote. Birdman also confirmed the bet on social media in a since deleted post. However, since the initial post, the wager went up to $150K and now, it looks like Ar-Ab is on his way to collect $200K from the Cash Money CEO. Ar-Ab posted a picture with a ton cash after the game in celebration his team winning. However, earlier today, the rapper posted another picture an article that read, "Birman Loses at Least $100K to Philadelphia Rapper AR-Ab in Super Bowl Bet." AR-Ab quickly corrected this in the caption, "Actually it was $200,000... I️ ain’t do nuffin but buy more houses and pay for my homies Lawyers and Appeal Lawyers." At this point, it's unsure if AR-Ab received the money yet but it looks like Birdman lost a lot money betting on the Patriots.